A new space has opened in Mumbai, India where photographers can display their photography in an art gallery dedicated to both showing and selling prints. 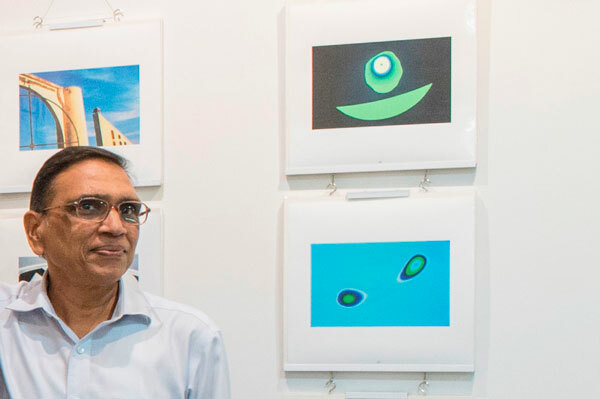 Dinodia 1×1 Photo Gallery is launched by Jagdish Agarwal, the founder of the first photo library in India, Dinodia Photo Library. The gallery will promote use of prints for interiors such as homes, offices, restaurants and hotels. The space is situated in the heart of Mumbai, the commercial capital of India, in the Central Business District. Located at Nariman Point, the venue is surrounded by offices of top business, fine dining restaurants, designer shopping stores, a multiplex and five art galleries. All of these attractions are easily accessible by bus and train, both western and central lines train stations, Churchgate and CST with plenty of parking available. The unique selling proposition of Dinodia 1×1 Photo Gallery is that all prints will be displayed in frames of 12″ x 12″. Buyers can also order larger sizes as the gallery continues to assess the needs of the current art market situation in India, which is growing. Agarwal sold his first photo more than forty years ago for $1.00 USD. More recently, his agency sold a picture for nearly $9,000 USD. “Ironically, in today’s market, sometimes photographers are only receiving $1.00 USD for a photo. Hence, one has to move with the times,” he says. Agarwal believes the success of an exhibition is to convey a theme that touches the hearts of clients in such a way they want to display the prints on their own walls. He also knows that proper editing, harmonious sequencing, use of archival printing, decent frames and a properly designed catalog are critical to a show’s success. Agarwal and his staff will be working tirelessly to be sure that all related exhibit materials are produced with care and quality. They will also be handling all promotions of the shows to newspapers, magazines, television reporters and art critics. During openings and throughout exhibit runs, staff will be present and meeting with potential buyers to explain their printing services and convincing them to buy. Photographers can send sample prints with an artist statement about their proposed exhibition for consideration to Jagdish Agarwal, Dinodia 1×1 Photo Gallery, 66 Bajaj Bhawan, Nariman Point, Opposite INOX, Mumbai. For more information visit their website at dinodia.com/gallery.